My movie minutes: The Distinct Features of Devar Films. Sando M.M.A Chinnappa Devar was a film producer, director and actor.His 'Devar Films' as a longstanding production unit carries certain special features that most other production houses do not have. Devar, as he is briefly called is known for his extraordinary devotion to the Tamil deity Lord Muruga, his unfailing intimacy with the late mass hero MGR ,his tribute to motherhood in his choice of titles and narration of stories, his consistent interest in the animal world and the continued priority for adventure in all his films. His films will begin with a word of prayer offered to his pet deity.We could find the involvement of at least one animal say a dog,a ram,a cow and a bull or a horse, an elephant and at times even a snake. Besides, K.V.Mahadevan would be the all time preference for the music component of Devar Films.These special traits always used to draw crowds to watch a Devar movie,in addition to a conventional script, with generally a rural base, consisting of family feud,local rivalry,the feel good factor of the hero,a notable romantic thread and the ultimate victory of truth and justice. MGR has acted in a majority of Devar films releases.The exceptions were perhaps Gemini Ganesan's'Vaazhavaitha Deivam',Udhayakumar's'Yanaipagan' Ranjan's'Neelamalai Thirudan' and 'C.L.Anandan's' 'Kongunaattu Thangam'. These were of course the early films of Devar Starting from 'Thaikkuppin Thaaram',which was a great hit, MGR dominated as the one and only hero of Devar films until he left the film world to play active role in politics. Devar could not think of any other actor to play hero in any of his films because the success formula worked out by the duo was strong to make all the films commercially viable. All the films were made without loss of time and outdoor shootings were much less.Moreover,except 'Nalla Neram',which happened to be the last movie of MGR with Devar films,all the other films were in black and white.With the cost of production being restricted and need based,it was thought that even if the released movie ran for four or five weeks,it would yield the expected profit.Perhaps Devar thought that the name of MGR would just be enough to sell his films and his unflinching faith in his hero never lost ground. Some of the success stories of the Devar- MGR combination were'Thai Sollai Thattadhe', 'Dharmam Thalakakkum','Thaiyai Katha Thanayan', 'Vettaikkaran' ,'Thanippiravi', 'Kannithai' 'Vivasayee' and 'Nalla Neram'. After MGR left acting for active politics,Devar started using the next popular hero,the superstar. Rajikanth acted in Devar films' releases like 'Thai Veedu','Anbukku Naan Adimai' and 'Renga' and Kamalahasan in 'Thayillamal Naanillai' and 'Ram Laxman'.All these films were made in colour because black and white concept became outmoded by then. However,Devar's parallel film making unit Dandayuthabani Pictures was busy inducting many old and new faces even during the days of MGR. Films like Deivathirumagal,Akka Thangai,Thaayum Magalum, Maanavan Thunaivan, Deivam, 'Vellikkizhamai Viradham' 'Ko Madha En Kulamadha''Aatukkara Alamelu' 'Sorgam Naragam''Adhisiyappiravigal' and a few more,were produced during and after the acting career of MGR. Heroes like Jaishankar, Muthuraman, A.V.M.Rajan, Sivakumar, Prabu and Karthik Muthuraman have all acted in these films. Of these 'Thunaivan' and 'Deivam' were movies devoted to Lord Muruga in script and narration and 'Vellikkizhamai Viradham' depicted a woman's supreme faith in the worship of cobras. 'Aatukkara Alamelu' beautifully exhibited the intelligence of a domestic animal like a ram. All these hits and the other great movie 'Maanavan' became memorable audience preferences. 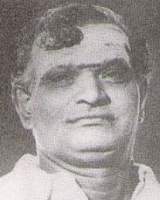 During the post MGR period Dhandayuthapani pictures also produced Rajinikanth's 'Annai Oer Alayam' and 'Thai Meethu Sathyam' '.If Devar Films patronized K.V.Mahadevan,the Dhandayudhapani Pictures mostly booked the duo Shankar Ganesh for composing music in its movies. Though Devar had directed one or two of his movies like 'NerVazhi' and 'Dheivam',he mostly passed on the onus of direction to M.A.Thirumugam,who directed nearly fifteen films of MGR. The films produced under the banner of Dhandayudhapaani Pictures were usually directed by R.Thiagarajan. Three fourth of movies of this other film production unit of the Devar family were made in colour prints.Stunt scenes formed the other dynamic characteristic of Devar films.The entertainment factor always weighed high with this veteran film maker.Being chiefly of the action genre, none of the Devar Films' movies, could be called boring.It was the right perception of the economic fundamentals of film making and the profound faith in his pet deity that sustained the life breath and victory march of the dauntless Devar Films Circuit. Dever deserves a special applause in this regard.The only surprising fact of the Devar Films is the significant exclusion of Sivaji Ganesan in all their films. One can not believe how a successful film production enterprise could fail to utilize the world famous acting stuff of a classic actor like Sivaji Ganesan.